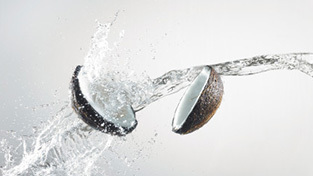 NATURAL MOISTURIZING ISOTONIC: The coconut replaces the minerals and energy may be lost by dehydration and sweating, it is also a great source of potassium.Naturally rich in protein, vitamins B1, B2, B5 and C, minerals, calcium, phosphorus, iron and potassium. ANTI-PARISITES: Helps fight intestinal parasites. 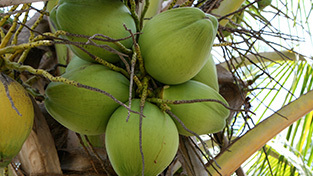 For three days, take a dry coconut in the morning before any meal, it is a natural anti-parasites. Prevents nausea during pregnancy and chemotherapy. 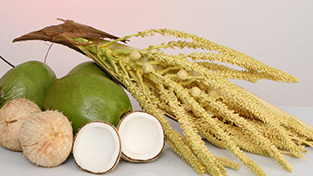 It is also very rich in minerals involved in bone mineralization (magnesium, phosphorus, calcium) and has outstanding fiber, which gives laxative properties. Fiber prevents constipation, helps reduce blood cholesterol levels and keeps good control of blood glucose (blood sugar levels in the blood) in the person with diabetes.